Traditionally, listing your home for sale during the Holiday season does not yield in the best results. Appointment schedules are less frequent and Open Houses are poorly attended. However, if people are house-hunting during the holidays, they must have a good reason why they are looking for homes that are priced to sell. Here are some helpful tips for selling your home during the months of November through January. Feel free to “deck the halls,” but careful not to go overboard with the holiday tchotchkes. Tastefully decorated homes around the holidays will create a comfortable and inviting atmosphere for your perspective buyers. Décor also includes curb appeal with outdoor lights, wreaths, window candles, live garland and other elegant selections. Safety is also a concern during the winter months. Be sure to clear driveways, walkways and stairs of snow and ice. Winter boots are often messy and you don’t want buyers bringing the outdoor elements on your hardwood floors or plush carpeting, so provide your buyers with inexpensive disposable shoe covers. Lastly, olfactory perception is a form of communication that is often undervalued. Entering a holiday home with the seasonal scents of pine, apple cider and cinnamon will put your perspective buyers in a good mood. You can invest in scented candles or to make a better impression, provide your buyers with a sample of holiday treats. After viewing many homes on the market, your buyers will remember the house with the holiday snacks. Click https://www.hgtv.com/design/real-estate/top-10-tips-for-selling-your-home-during-the-holidays for more tips on staging your home for sale during the holidays. If you’re ready to list your home, A.J. 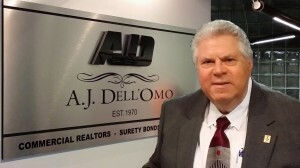 Dell’Omo, Inc., Realtors will provide you with a customized home report and guide you through the home-selling process. Experience the Dell’Omo Difference!